Light shines through your kitchen window. A campfire brightens the dark woods. You see light all around you. But where does most light come from? And how does it travel? Read this book to find out! 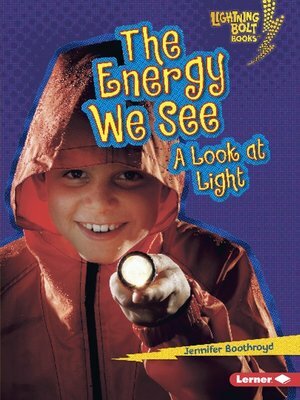 Learn all about matter, energy, and forces in the Exploring Physical Science series—part of the Lightning Bolt BooksTM collection. With high-energy designs, exciting photos, and fun text, Lightning Bolt BooksTM bring nonfiction topics to life!